2. By courier - the delivery cost depends on the weight of the goods. 3. With our transport – available only in Lithuania and Estonia (Pärnu, Tallinn direction) by schedule. For more information, please connect us above listed contacts. - Delivery time of your order depends in what time you order the products (working day or weekend, morning or evening). 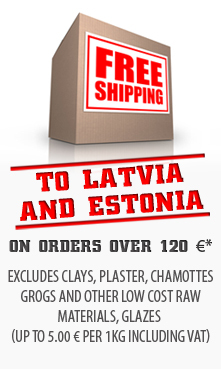 - The products are deliver through courier to Lithuania, Latvia and Estonia within 2 working days from the money credited to our account day. If we have no your desired product in stock, the delivery can take more time. We will inform you about it. - The products are not deliver on Saturday and Sunday. - Delivery prices with VAT. When we will receive your order we'll send a proforma invoice. You can pay it in a week's time by bank remittance. If the proforma invoice is not paid in a week's time, the order is withdrawn without any notification.